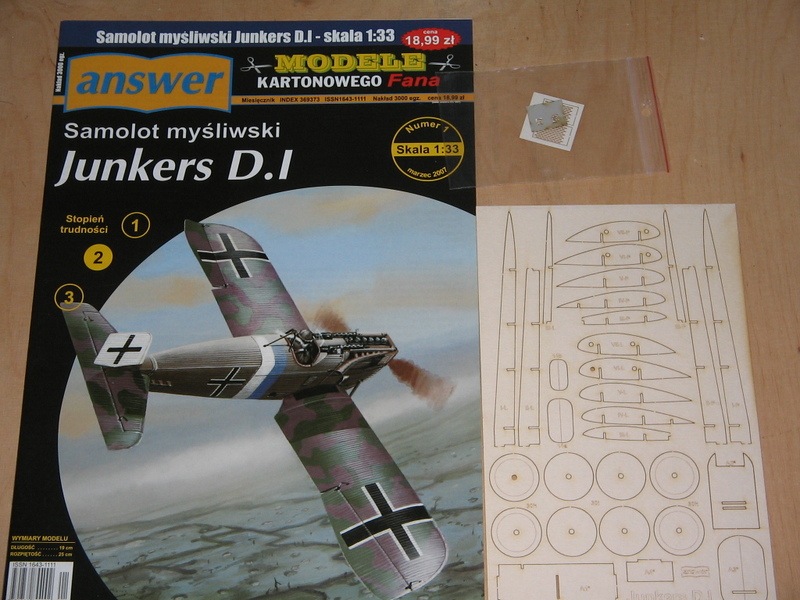 OK, here we will see WNWs secret new Junkers D.1 kit come together. Well, you say there is no such kit? With my summer vacancy just a few weeks ahead I've mustered my Winsock datafiles, Junkers photobooks and other resources. 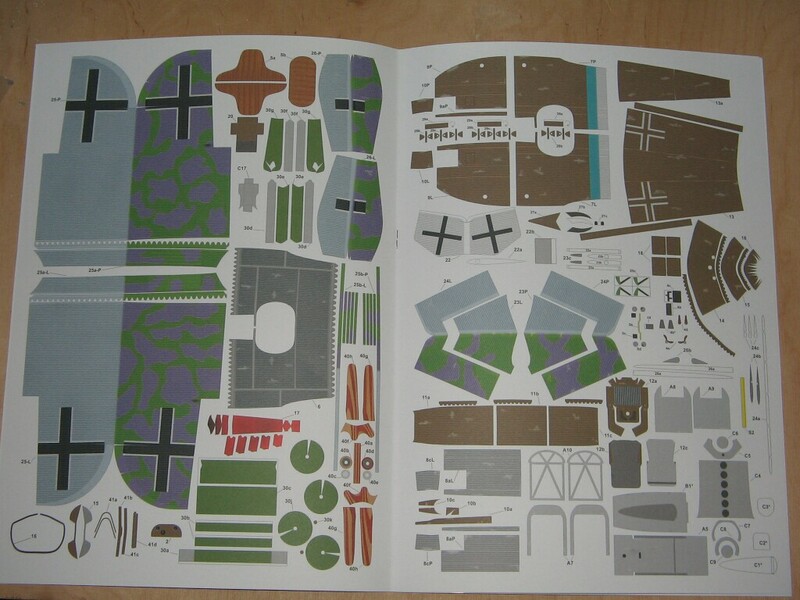 There is a paper kit available which will give me some templates to cut out surfaces of the wings and fuselage. And -very important!- a set of lasercut wooden spars and bulkheads too. This will be a major shortcut to find the proper wing profile and fuselage shape To be honest: wing profile is a major concern, as I've learned with my stalled UT-1 build (see here: http://forum.largescaleplanes.com/index.php?showtopic=34309&page=3 ). I've ordered both. Next stop will be to buy some proper corrugated sheet styrene. 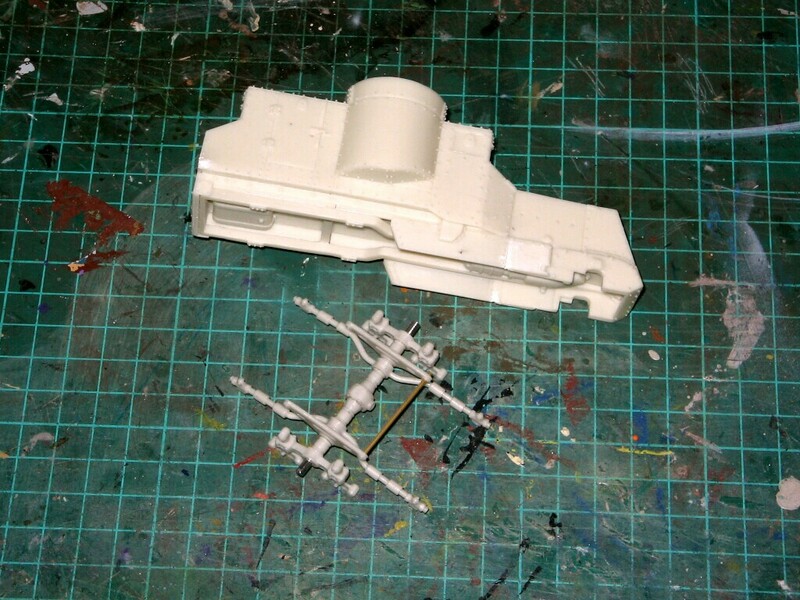 Located some 0,5 mm styrene with a "corrugation" of 1,0 mm which should come close enough to scale Junkers Wellblech. Sounds like an ambitious project, dutik - best of luck! Wow! This should be fun to watch. Great subject - good luck with your build! While still waiting for the paper kit to arrive (as well as for the beginning of my vacancy, with is still a few weeks ahead) maybe I am allowed to please you with another WW1 related build? This is not an airplane (so, BEWARE!!! 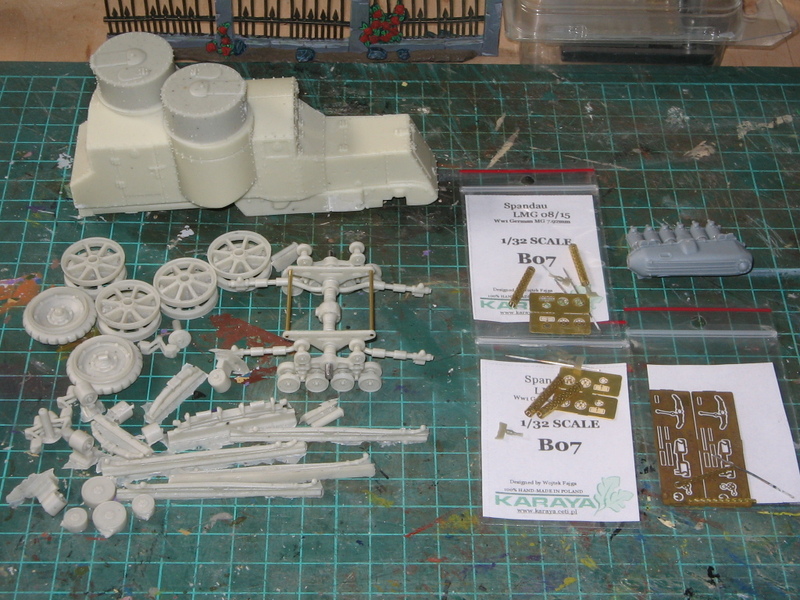 ), but an armored halftrack in 1/35 scale. To bee honest: plane modelling is very demanding. No chance to hide glitches with a few layers of mud. 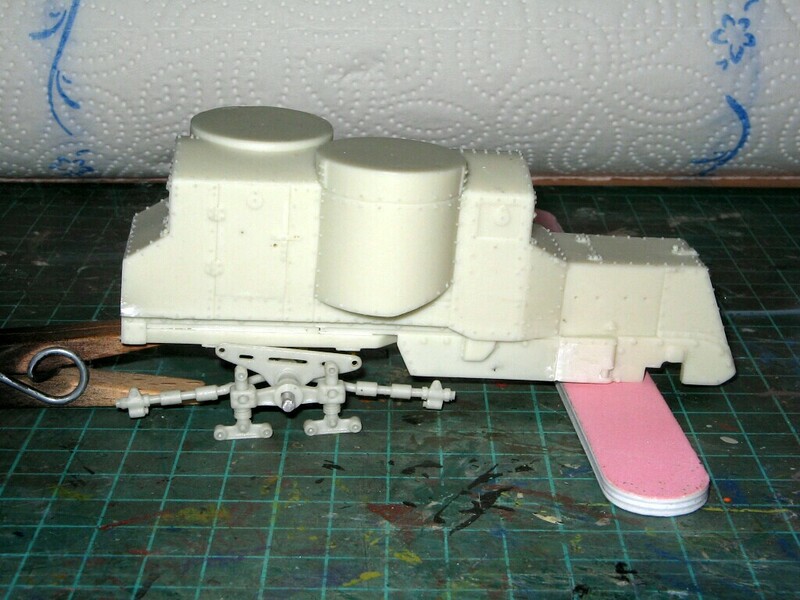 But tank modelling is well suited to sand and glue a few parts even after a long and demanding working day. OK? The body is cast as one hollow piece with a seperate floor. While having a longitudinal cast-in spacer they sidewalls bent inwards and had to be pressed back to a straight shape with the help of some bulkheads. This is how the hull is supposed to meet the rear u/c, i.e. the tracked part. While on-spot to scale is the suspension too flimsy to shoulder the weight of the hull, so I drilled out the main shaft and inserted a thick rod. To connect it sufficient with the hull I am now adding two more rods at suitable locations. One is in place now. These rods are not at the real vehicle, but will be mostly invisible with the running gear in place. This is extremely cool. Thanks for both at once. I am somewhat confused about the choice of the correct engine. Winsock calls out for Mercedes III and BMW III, without giving information if the BMW was used for the fighter competition only or with (some) of the serial fighters too. At least the Benz is not the one I need, because it was used just with a prototype (also the airframe had a well visible different outline). So Mercedes or BMW? Guess Mercedes should be the right one. At least it is at the fighter in Le Bourget that was captured by the Entente in frontline service. So I've pulled out WNWs Mercedes D III engine sprue. Well, WNW is not only making fine kits, they are also making fine sprue! If you don't know the layout: the engine sprue holds all parts to make the 160/180/200 hp subtypes. But parts are not just somewhere attached to the sprue, the sprue is divided into 4 segments, one each holding the common parts for all or just the parts needed for one of the subtypes. It's impressive, but thats not all: At the center is a molded on inscription calling out which sector are the parts for what subtype! You also get 4 different propellers, each named at the sprue too! Building the suspension is the most boring part of AFv modelling. Lot of wheels. Cut, fit, glue; cut, fit, glue. Repeat again. It's coming into shape. More resin to be cleaned. Started with the aircrafts Mercedes engine too (upper right), to have at least a little bit of LSP modelling. Did some stash diving and recovered some sets of very nice Karaya MGs. Spandaus and Parabellums. The cooling jackets are ready made. No need to bend, glue, solder or else. Sweet, indeed. Recommended! Paper kit to the left, lasercut parts to the right. The small part are the jackets for the mg.
Just 2 pages in colour (good print) plus another one b/w. Simple kit with not a lot of parts, but a good starting point to use it as a template. Looks nice, even without glue. No I have to find some time to drive to town to hit the copyshop to enlarge the Windsock drawings. No much progress, but I was able to enlarge the Windsock drawings. Thank you for pointig out to that issue. There is some give or take to be calculated. The corrugated sheet is much thicker than paper. So this could be sufficient to meet the right overall size when added to smaller 1/33 templates of the interior. Thats why I have made 1/32 drawings ready. 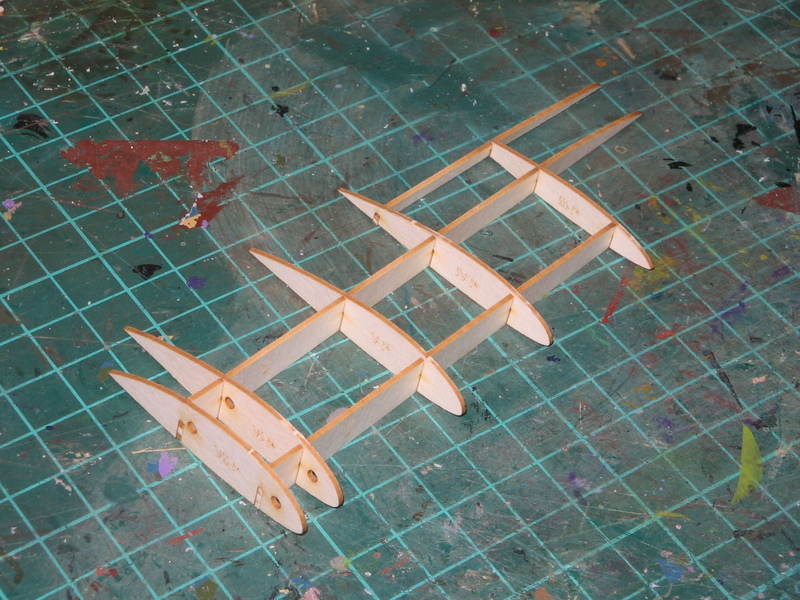 Of course I still have to add a little bit to get the wingspan and chord right, as well as fuselage lenght. I want to figure this out next week (at least I planned to do so). If the size should be to small it is no problem to enlarge the paper parts one by one to 1/32 scale, because I have an suitable A4 photocopier at hand. It sounds like you are "on top" of everything...carry on! 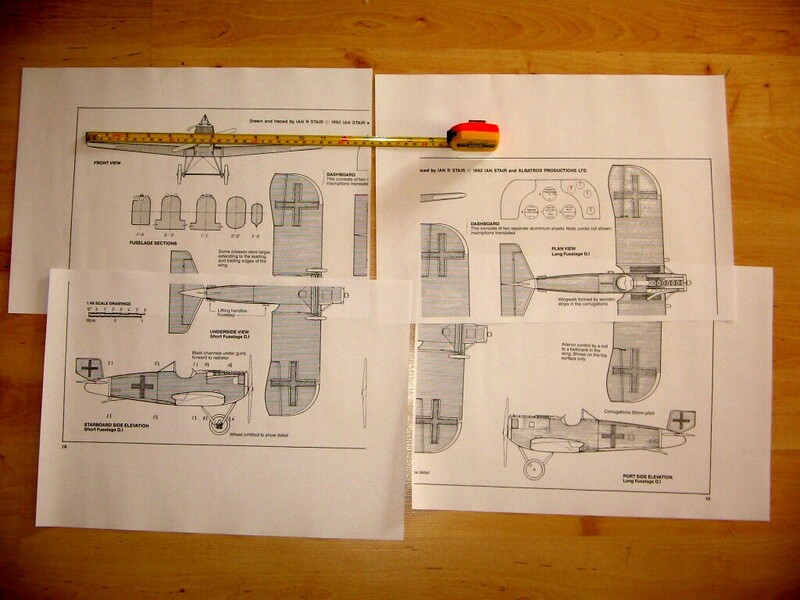 I seem to remember a thread here where a modeler was building an SB2C Helldiver in plastic using a paper model as patterns. You might look that one up as a source of problem-solving.